Posted on 10/11/2017Why are People Overly Diagnosed? ?What is Tort, and What is the Cap for Tort Damages in NC? ?Why Do Lawyers Reject Medical Malpractice Cases? 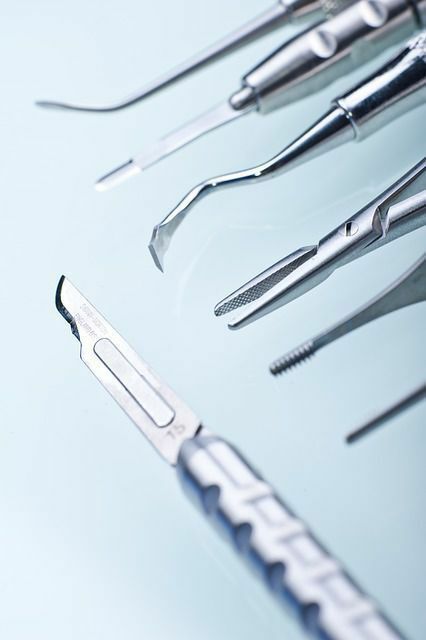 ?How Can I Avoid a Medical Malpractice Lawsuit? What Does a Patient Need to do Before Filing Suit in NC? North Carolina medical malpractice and personal injury trial lawyer Brent Adams explains what a patient must do before filing a lawsuit. Womack Army Medical Center in Fayetteville, North Carolina is the largest military hospital in the United States with over 124,000 patients and more than 3,500 employees. Over the past year the hospital made headlines after two patients died and the commanding officer Col. Steven J. Brewster was replaced by another doctor, Col. Ronald T. Stephens. The change in office was not directly attributed to the patient deaths, but also to questionable surgical-infection control procedures. Most recently, the results of a military healthcare review of 50 hospitals and hundreds of clinics have prompted the government to investigate the select facilities' standards and procedures. The report showed that in a three-year period almost 60 adult patients died, more than 30 babies died, 40 wrong-site surgeries were performed, and a foreign object was left inside patients over 70 times. The Pentagon announced the survey results in early October and named eight military medical facilities that will need to improve patient care. Womack Army Medical Center is one of the facilities referenced in their announcement. According to the New York Times, the two patient deaths at Womack Army Medical Center in 2014 were Racheal Marie Price, 29, and an active-duty 24-year-old unnamed patient. Rice received a routine tubal ligation. A few hours after surgery she went to the ER. Post-surgical patients who visit the ER should receive medical care as soon as possible, however, Rice waited for a few hours. According to news reports, she left to breast-feed her 6-month-old baby. The next morning an ambulance took her to the hospital and she died shortly after arriving. The Fayetteville Observer reported, "Under a section for quality of care, Womack was listed as one of eight medical centers that needs improvement after showing 'higher than expected levels of morbidity' between July 2012 and June 2013. Morbidity rates deal with whether patients get sick after medical treatment." The Pentagon's announcement regarding Womack comes around the same time allegations of "unfair and unsafe practices" in the Fayetteville VA Medical Center's Department of Surgery. As healthcare in Fayetteville continues to be scrutinized on a local and national level, patients may have questions about standards of care, possible medical errors, and their patient rights. Our Fayetteville medical malpractice attorneys help patients who have suffered injuries or illnesses as a result of inadequate medical treatment. If you are concerned about the medical treatment you have received, regardless of the facility or even if it was in-home care, contact our attorneys. There is no cost for an initial consultation and we can help you understand complicated malpractice laws, statutes of limitations, and more.